BEYOND TANGY TANGERINE® 2.0 is an advanced multi-vitamin mineral complex containing potent nutrients and synergizing co-factors. It also contains new PrePro™ Prebiotic and Probiotic blend that provides advanced intestinal support, ensuring that your body is receiving the highest quality of each essential nutrient. 100% organic. Ultimate EFA Plus is a proprietary blend of essential fatty acids from Borage, Flax and Fish Oils. Used as part of a healthy diet, essential fatty acids may support the body in many ways, especially cardiovascular health. Increase cartilage, ligament, tendon and bone health. With bone and joint health becoming an increasing concern for many adults, Beyond Osteo fx was formulated to help support optimal bone and joint health. Beyond Osteo fx can be easily added to your favorite beverage through its new easily consumable form. With more than the daily recommended intake of calcium and nutrients needed to enhance calcium absorption by the body, Beyond Osteo-fx provides you with optimal bone and joint health support. Temporary relief of minor aches and pains of muscles and joints associated with arthritis, strains, sprains and simple backaches. Apply to affected areas not more than three to four times per day. Children under 2 years of age: Consult a physician. 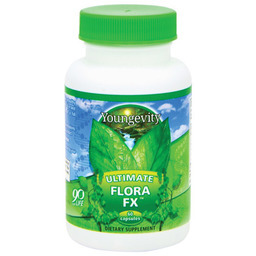 ​Ultimate Flora Fx™ is a proprietary blend of pre- and probiotics formulated to support and maintain healthy digestive function which is imperative for optimal nutrient absorption and metabolism. Ultimate Flora Fx™ also contains the prebiotic glucono delta lactone (GDL) a patented naturally-occurring agent that nourishes the beneficial bacteria in the small intestine helping to promote intestinal health. 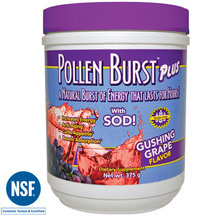 Pollen Burst ™ is the world’s first energy drink powered by flower pollen. Featuring vitamin D and the powerful antioxidant SOD, this great-tasting natural orange-flavored drink helps the body fight damage by free radicals, toxins, and other environmental stresses. The Slender FX Meal Replacement Shake is now Soy-Free and Gluten-Free! With the same great-taste and just 70 calories per serving it delivers a wide spectrum of vitamins minerals and other nutrients to support sustained levels of physical mental and emotional energy throughout the day to support healthy weight loss. Your hair, skin, and nails are made up of many nutrients such as vitamins, minerals, amino acids, and other compounds that the body manufactures. It takes good nutrition to keep you looking your best, and that's what this unique formula is all about. It combines a generous selection of essential vitamins with key minerals that play important roles in promoting healthy hair, skin, and nails. ProJoba Full - 30 mL oil with dropper. Supports natural hair growth plus helps with dry flaky or itchy scalp. Apply 2 drops daily to dry scalp. Users have reported growing thicker hair & hair beginning to grow where they had none. 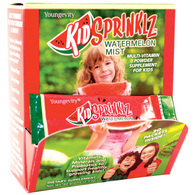 KidSprinklz Watermelon Mist ensures that kids are getting the essential nutrients needed to keep them healthy and help them grow, promoting bone and tooth formation, healthy muscle growth, a healthy digestive system, and much more. Gluten-Free, Dairy-Free, Sugar-Free, and Fat-Free! Immersed in filtered water to extract caffeine and then filtered through charcoal for safe, chemical-free extraction; leaving you with a delicious 99.9% caffeine-free cup of coffee. Also available with caffeine.